Use 1-Shot Tinting to tint 1-Shot Lettering Enamels without affecting the properties of the base coatings. 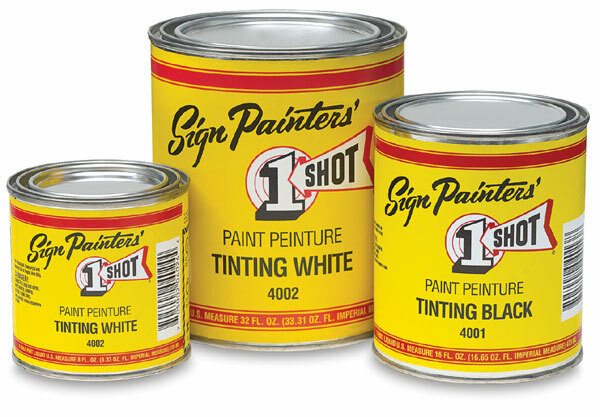 Tinting Black darkens enamel colors without muddying them. Tinting White lightens colors without washing them out. The tints can also be used to produce various shades of gray without streaking.